I have reviewed Rock of Ages before but after the first big cast change just two weeks ago it’s definitely time for another look at one of the loudest and craziest shows in town. 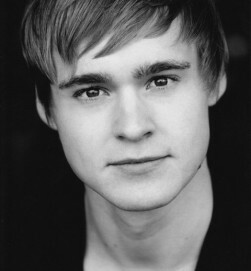 Ross Hunter has taken over from Oliver Tompsett as Drew. Fans of musical theatre might know him from shows like We will rock you where he understudied the lead part of Galileo or Legally Blonde where he was understudy for Warner. Good things first: I think Ross has a good voice and it’s impressive to see what he has achieved at such a young age. He manages the part just fine vocally and that alone isn’t an easy thing to do. However, for me he just doesn’t suit the part completely. He appears slightly uncomfortable on stage and even though he tries, I just don’t see a rock guy but rather a boy dressed up in rock clothes he doesn’t look natural in sporting long hair that simply doesn’t suit his type. It may be a thing of having to grow into the part and I’m looking forward to see how Ross develops in the part over the next weeks. But at this point he looks the most at home as Jazzy J – the boyband kind of guy. Tim Howar is the new Stacee Jaxx. I’ve been seeing Tim on stage since 2004 and for me he has always been at his best when given a part that allows him to rock and work the crowd. This show makes no exception to that rule. Tim’s Stacee is a true rock star, completely full of himself and slightly oblivious to the fact that he has passed the peak of his career long ago. While I did like Shayne Ward’s portrayal I think Tim is a lot more suited to play an ageing rock star (I’m not calling Tim old here!). Plus he has the bonus of that killer rock voice. For me Tim is the best addition this show could ever get – a great actor with a brilliant voice who portrays Stacee’s arrogance without going completely over the top. 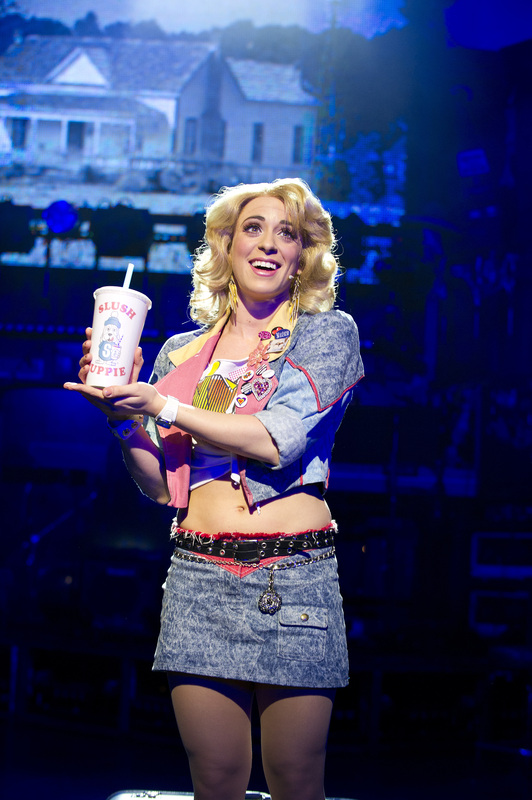 Natalie Andreou continues as Sherry. Ever since taking over the part full-time early on in the show’s run she has proven that she is absolutely perfectly cast. Her Sherry is funny and likeable and she’s got a great voice to match her brilliant acting. 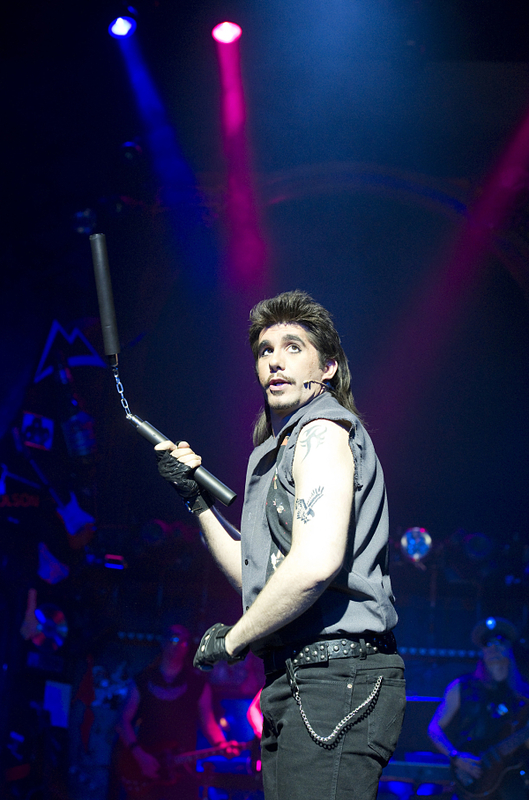 Simon Lipkin’s Lonny is the star of the show, there is now denying that. He’s hilariously funny and it’s almost impossible to not watch him whenever he is on stage – even when he’s only dancing as part of a female background chorus. Plus his ad libs are the highlight of every show – there’s no question that this guy is a hugely talented performer with a real feel for comedy, something not many performers have to that extend. 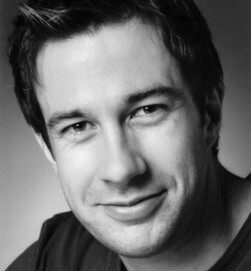 Sandy Moffat and Jodie Jacobs remain in the cast as Franz and Regina. And I’ve said it before: I love them both in their parts. And yes, the German jokes still make me laugh! 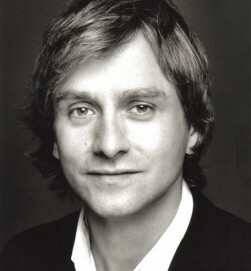 Daniel Fletcher has taken over from Justin Lee Collins as Dennis Dupree. First impression: He is tall!! Daniel gives a solid performance but I do think he needs some time to settle into the part. The interaction between him and Simon isn’t as good as it could be but I’m sure that is just a matter of time. The rest of the cast does well although I did miss Amy Thornton and Zizi Strallen. Great to have Tim Driesen back on a West End stage. I’m very much looking forward to seeing him as Drew sometime soon. And it’s always nice to see Scarlette Douglas on stage even if it’s only in her swing part. Rock of Ages continues to be a fun show. 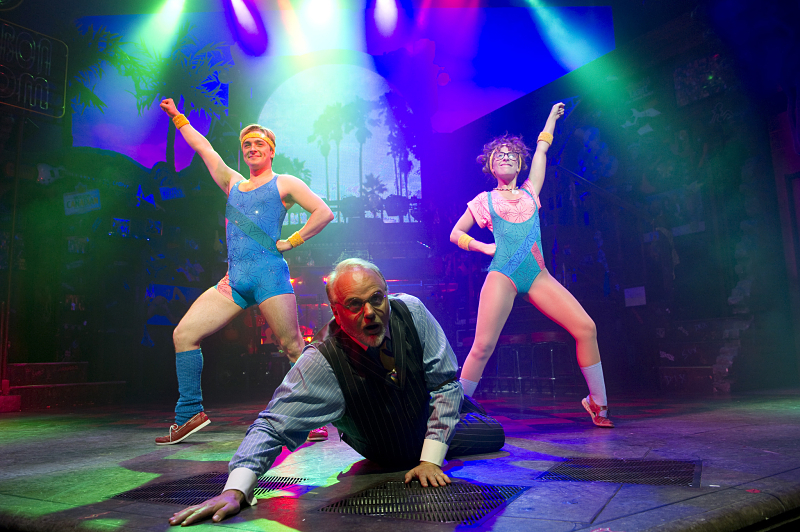 It doesn’t pretend to be anything more than it is: A rock musical with some great 80ties tunes and cheesy jokes built around a simple storyline. It’s not Sondheim and it’s certainly not for everyone. But do I like it? Hell yes!! Rock of Ages is playing at the Shaftesbury Theatre until 6th January (before moving to another, yet to be confirmed theatre from 18th January).